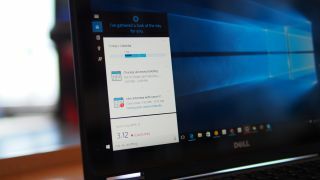 Windows 10 is making an unwanted name for itself in the scam department after malicious actors used a pair of different efforts to obtain information from unsuspecting users. First reported by SuperSite for Windows, the scams relate to fake tech support calls and Windows 10 upgrade emails that attempt to elicit information in contrasting ways with the former looking for money and the latter flat out attacking your system. The tech support call takes the form of a phone call being made to your home number that claims to be some kind of support service connected to Microsoft aiming to help solve a problem related to your PC. It will be claimed that your machine has an issue and whoever is on the other end of the line will want access to your PC using Team Viewer software. When you have handed over control they will plant malware on the machine. That isn't the only way the tech support scam works. There's a slightly different version of the call that will instead attempt to help you install Windows 10 and then ask for a fee for the privilege. Neither is legitimate. Windows 10 upgrade emails are the other way that customers gave been scammed. Microsoft has been sending an email to all Windows customers to remind them to download the new OS version and scammers are very slightly adapting the email. A file attached to the email will claim to be Windows 10 and if it is installed will begin an attack on your PC. By only using the Get Windows 10 white icon in the corner of the screen you can avoid the latter and only ever use the company's online help forums to get advice on the OS, not a seemingly random phone call. More than 18 million people have already downloaded then installed the new OS and the fact there are scams doing the rounds is hardly a surprise given the huge undertaking that delivering a brand new version of Windows involves.